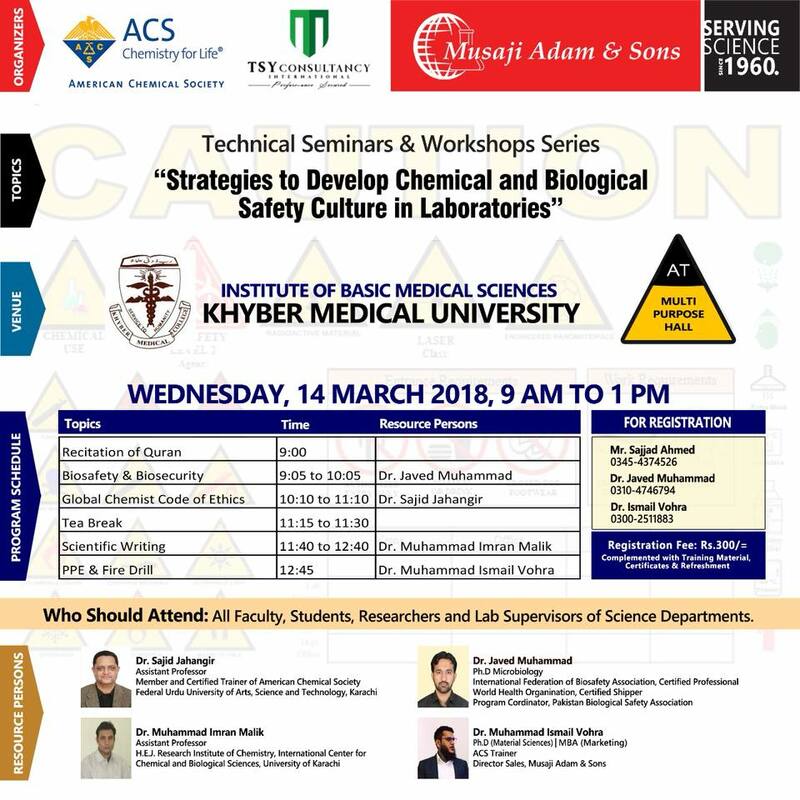 IBMS organized one day workshop entitled “Strategies to develop chemical and biological safety culture in laboratories” in collaboration with Musaji Adam and Sons , American Chemical society and Pakistan Biological Safety Association, Pakistan at Khyber Medical University on March 14, 2018. Dr Yasar Yousafzai, Assistant Professor IBMS was chief organizer and focal person of the workshop. Musaji Adam and Sons were major collaborator of this workshop series in different universities of Khyber Pakhtunkhwa and provided financial as well as technical support to this workshop by providing kits and lab safety equipments for practical session of the workshop.